Two new recruits will be joining Wellingborough Council as it bids to tackle low level environmental crime across the borough. 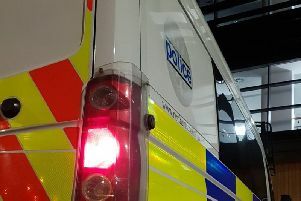 Responsible for investigating complaints of nuisance and anti-social behaviour issues, the community enforcement officers will be carrying out regular patrols throughout the town. Working alongside Northants Police, the officers will be addressing aggressive begging, anti-social drinking and behaviour, and dog fouling. In addition, the council’s partners Wellingborough Norse will continue to tackle other environmental crime including fly-tipping, abandoned vehicles, graffiti and littering across Wellingborough. To help ensure that fly-tippers are prosecuted, the council and Wellingborough Norse have installed cameras in various locations across the borough. The introduction of community enforcement officers forms part of the council’s wider strategy to reduce anti-social and environmental crime across the borough. This was recently supported by the two new Public Space Protection Orders (PSPOs); one covering the whole borough for dog control provisions and one covering the town centre restricting anti-social drinking and aggressive begging.